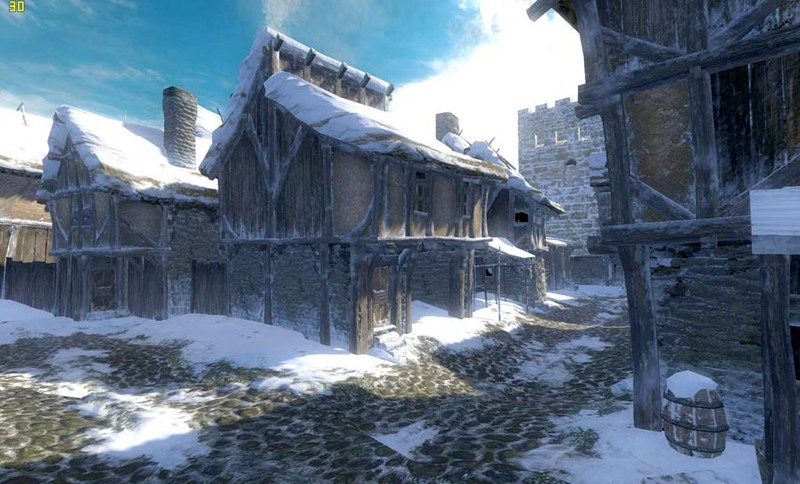 Created on Dec. 15, 2011, 8:58 p.m.
Oblivion was a bit of an inside joke between game artists. Fans were willing to forgive it almost all of its visual flaws but to me it seemed a symbol of the slide into nothingness. On the technical front it was nothing impressive. It dragged the baseline of a modern look (to think it was released in the same year as Crysis). Many assets were of low quality, it had badly implemented shaders, terrible HDR, bloom and tonemapping. The whole world was blurred and buggy. The art direction and IP were completely uninspiring. 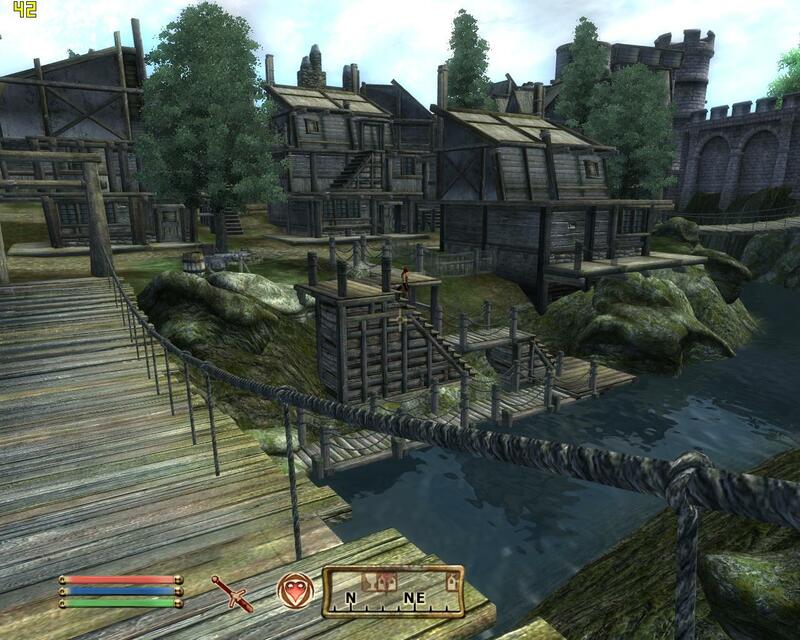 Fans would exclaim "Wow, looks like Oblivion! ", at other developments and mods; the artists in the room would facepalm. I hate saying bad things about any development, but compared to the quality of some titles, I felt like it stood against everything I longed for in game development - statement, daring, wit and maturity. Not many games have had such a hype and impact on gaming culture as the next instalment in the series - Skyrim. It has taken the path of Oblivion to the final conclusion. In many ways Skyrim is gaming culture. And it's been so long since I've associated with that, called myself a gamer, that I should really be set out to despise it. There is nothing challenging in Skyrim. From its vast collection of stat-crunching, ridiculous-looking weapons, to its tiresome and generic setting, Skyrim says nothing about life, about choices, about competition, about social interaction. It lacks even the angst of adolescence and sinks almost into childishness. Skyrim is Gluttony, Greed and Acedia. With several hundred hours of gameplay there isn't one hour of true content. Skyrim is the idea that two chocolate bars are better than one. Skyrim is immediate gratification. Skyrim is eating a whole tub of ice cream in comfort. It encompasses the dark sides of gamer culture. Skyrim is soma. Over the past week or so all of my pet projects have ground to a halt. That time I would have spent on them has gone into Skyrim. I've ruined my sleep routine and had several headaches. I've done it all knowing there is no end in sight unless I shift myself out of gear. Skyrim employs no cheap tricks. This isn't a MMO grindfest or a Farmville. It's an even bigger enemy. But I like Skyrim. For three years of development it is incredibly impressive. It's huge, and fun. I even like the graphics. They've fixed the HDR, tonemapping and bloom. They've chosen a large HDR range for stylistic and not uninformed reasons. The shaders have been updated and most materials look great. The environmental art occasionally suffers, but the landscape is still fantastic. The world feels alive. The IP and art direction are painfully generic and uninteresting, but the world is more mature, and has lovely distinct regions and environments. As with the weapons, the locations are sickly in their over-the-top nature, and my eyes still glaze over whenever some NPC decides to explain to me for five minutes some horrifically boring and cliche aspect of Skyrim lore. But you get the overall feeling that this time the artists were at least excited about what they were doing. Playing Skyrim I realized I've been living on a diet of Short Stories and Documentaries. I needed that huge epic Novel, whatever the content. It excited me like the main course of a big family meal finally arriving. Skyrim does escapism like no other media. Not many films or novels give such a comparable feast. And with a book that thick you can forgive Skyrim the warts and flaws. Skyrim is not a classic, not required reading, not a balanced diet - but it tastes as good as a KFC family bucket on the way home from a drunken night out.